We are happy to be able to bring this great opportunity to all of our readers. If you are a parent, or a student, you know that you have to stretch expenses as much as possible during the back to school season. 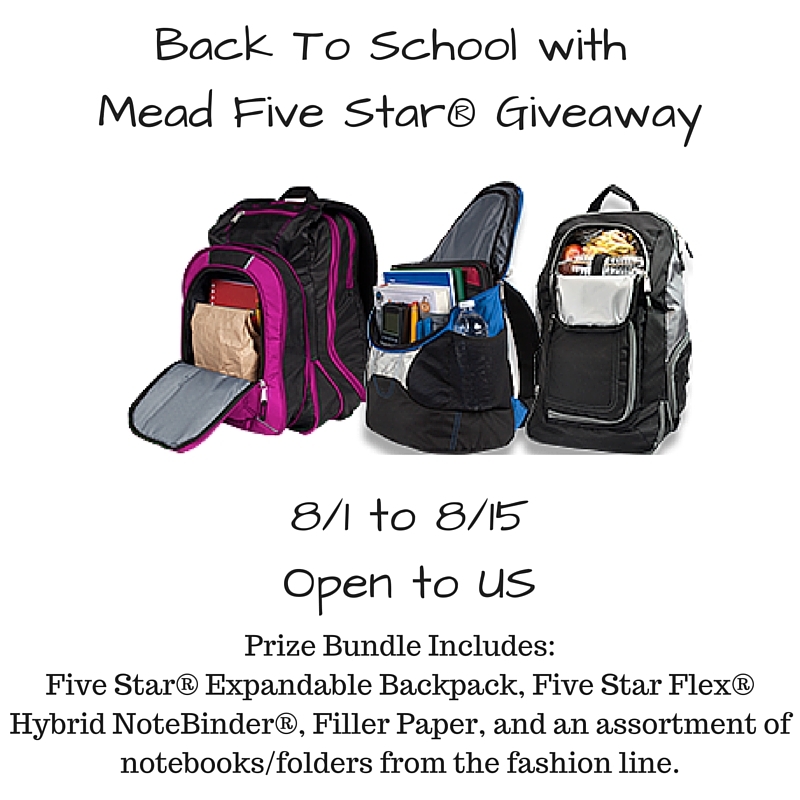 So enter for your chance to win great products from Mead Five Star, and don't forget to enter daily for extra chances to win. Good Luck! Five Star® Expandable Backpack, Five Star Flex® Hybrid NoteBinder®, Filler Paper, and an assortment of notebooks/folders from the fashion line.